Butter comes from a very impressive linage. Her sire, MFI Peruvian Logan, comes from the famous PPPeruvian Augusto and her dam, H Faith, comes from Snowmass Millenium with 4Peruvian Legacy and Peruvian Hemingway in the background as well. 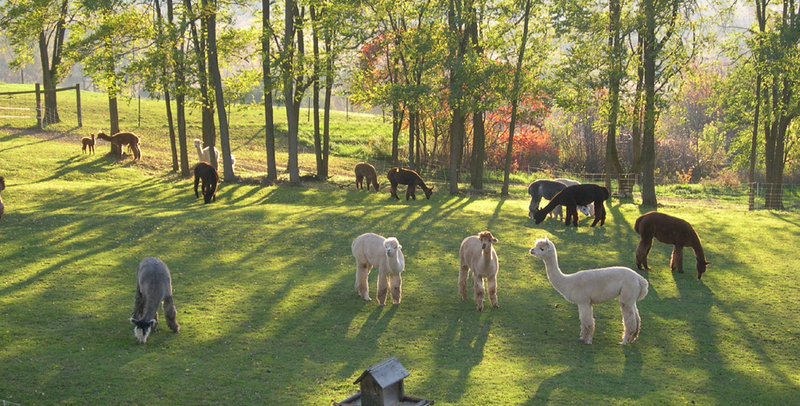 These are some of the biggest names in the alpaca world. Butter is a great mom and a very quiet unassuming alpaca. Butter just had her second cria, a beautiful white male. We will include this cria with the purchase of Butter at no additional cost. There are some great possibilities for future breedings with this one. Mystery Man is a wonderful young man with a very gentle disposition. At 6 years of age, he has maintained very fine fiber with great staple length. His background is very very impressive and includes a who's who of the alpaca world: Peruvian Bueno, Maple Brook Bravado, Peruvian Hemingway, PPPeruvian Augusto Snowmass Millenium and MFI Peruvian Logan to name a few. 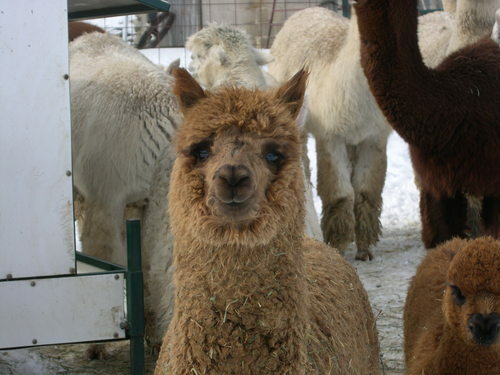 All alpacas are registered with the Alpaca Registry, Inc. 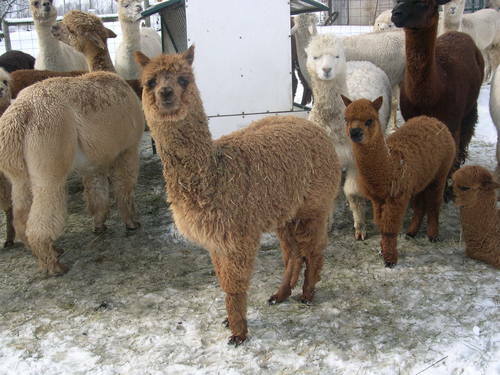 Breeding quality alpacas come with reproductive and live birth guarantees. Maiden females come with a free breeding to one of our herdsires. Financing is available with only 25% down, interest free for the first year. 90 days free boarding included in any purchase.